Even on these cold, 20-degree NYC winter days, I push myself to wake up when the alarm goes off at 7:10AM (yes I know it’s not SO early) and drag myself to the gym five blocks away. In efforts to diversify my work out routine, I took suggestions from Fitness Magazine for some quick treadmill exercises. Note before this post: I do not like the gym!! I go because I have to keep up the hard work of diet/exercise I have put myself in the last six months. But, if I’m already there, I should at least try and make it somewhat fun, right? This 20-minute workout from Diana Maitland (personal training manager at Equinox Fitness) is suggested for those who want to sculp the glutes and build strength and endurance. 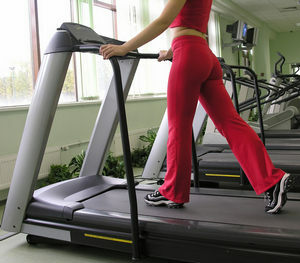 For various time intervals, you will increase (or decrease) the incline while keeping the same speed for consistency. I tried it out this morning at the gym and I am happy to report that I felt that the glutes were definitely being worked and it was not too difficult at the beginner level. In addition, since I usually do 30 minute treadmill exercises, I continued after the 20 minutes with a low incline and jog at the end. In memory of a dear friend, I hope you will consider attending and/or donating towards the Shana Kay 5K (run or walk) event on Sunday, October 23 at 8 AM. Money raised in connection with the 5K will be donated to the Suffolk Y JCC to build day care scholarships for local families in need. To register for the event or make a charitable donation, please follow this link. Shana was a great friend to me and who is missed dearly by her family and all her friends that had the pleasure of knowing her. Thanks for taking the time! 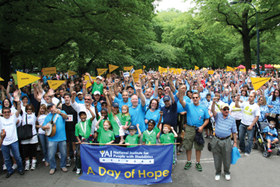 On Saturday June 5, join YAI and Broadview Networks for their annual Central Park Challenge. Last year, over 10,000 were involved with volunteering and/or participating in the exciting activities! Over the course of the day, there are 3K and 5K runs and walks for both children and adults, so you can make the day fun and/or challenging. YAI spokesperson, Sherri Shepard, will be attending the event and continuing her involvement with spreading the word! The money donated for this event is dispersed amongst various projects that are dedicated to helping those with disabilities and their families. Some of the disabilities that are most recognized through this organization are Down Syndrome, Cerebral Palsy, Autism and others that stall learning development for children and adults. Keep your calendars open for this event – it will be one you don’t want to miss! Visit the website to learn more about YAI,what they’ve done to raise awareness for these issues and how it has made a large impact! 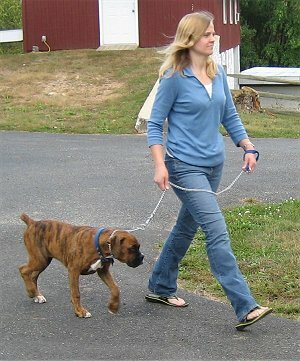 Now that we’re gearing into summer, why not take your workout outdoors?